Netflix Safe Series Drops Trailer | Nerd Much? Netflix dropped the first trailer for their upcoming drama Safe this morning. The series features Michael C. Hall as he attempts to track down the whereabouts of his recently missing daughter. 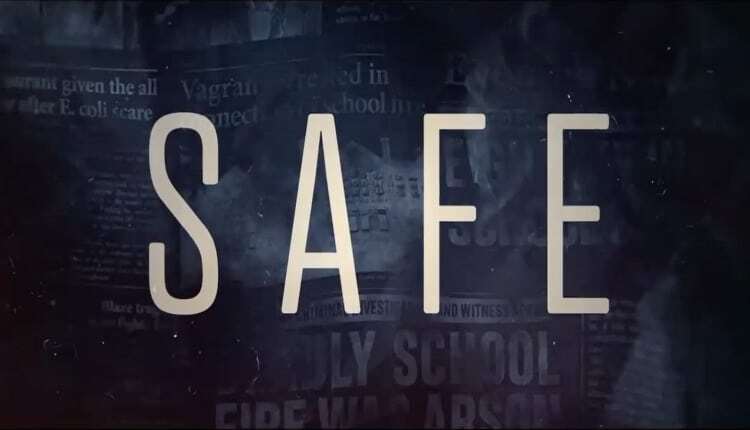 Safe will consist of eight episodes beginning in May. The show comes to us from American crime author, Harlan Coben. This is Coben’s second foray into television as he serves as executive producer for the project. He created The Five for the U.K. network Sky 1 in 2016. Safe is written by Shameless‘ Danny Brocklehurst. Hall equips a British accent for his role as the series takes place within a gated community in the United Kingdom. The show marks Hall’s first leading gig in a series following the lackluster ending of Showtime’s Dexter in 2013. Hall’s Tom is an affluent pediatric surgeon within the show. He’s raising his two teenage daughters, Jenny and Carrie, following the tragic death of his wife. The crux of the plot is the family’s residence within their British gated community. The trailer begins with a character stating that “This is a gated community. We can see who comes in and who goes out. It’s safe.” Apparently not. So when one of Tom’s daughter’s tells him in the next cut that she’s going out, he has reason to believe that she’ll be fine. We then get glimpses of the daughter partying, presumably within the community. And then Tom continuously calling her as she hasn’t returned home by the time morning comes. There are likely to be all kinds of twists and turns as we make our way through the eight episode series. The drama begins when Safe hits Netflix on May 10th.